the small village and outlying hamlets prior to 1850. Click on image - diverts to the map on Genuki Website . the famed 'Hunting Parson' and Dog Breeder, synonymous with the Jack Russell Terrier. Rector of Black Torrington from 1879 until his death in1883. term tunaz, tunan, meaning "enclosure, garden, field, yard; farm, manor; homestead, dwelling house or mansion" and later "a group of houses,". was almost certainly established well prior the beginning of the 2nd Millennium. recorded only 13 households and Holsworthy, seventy-five. Courtesy of The National Archives [TNA] [3a]. Terminology: Online Etymology Dictionary . 'Black Torrington paid geld [tax] TRE [at the time of Edward the Confessor [reign 1042-1066]] for 2 hides [approx. 240 acres], less 1 virgate [approx 30 acres] of land. to his eldest son Richard who died without issue. The Lands changed hands several times until Roger La Zouch was granted Blacktorynton during the reign of King John [1199-1216]. discended. And from another younger house Carew and  Corbet are discended by Talbot of Castell Ricard.". The-Note Book of Tristram Risdon [written 1608-1628] E.Books Online. in rural areas excluding those with assets under 10 shillings. to no avail. Certainly these figures would mirror the magnitude of the effect in their individual parishes. 1587-12; 1588-14; 1589-3; 1590-8; 1591-2 and 1592-9.
all similar in content to the 1332 LSR above. Access to these resources is listed below in Genealogical Resources. Parishes are missing or incomplete. Examples: The 1524 LSR for Black Torrington reveals 53 individuals comprising 45 Family Names with no Parish Records to compare. Names recording issue from 1547-1555 not recorded on the 1543 LSR. age of 18. Those who refused or were unable to take the oath for any reason were also bound to be recorded. this Promise, Vow and Protestation. Black Torrington village recorded 163 names [listed alphabetically]. John Bickle (of East Chille). John Oliver (of East Chill). Robert Oliver (of East Chill). at work has taken the protestation with us. better enable him being thereunto required. Oliver Axworthie sen. and Oliver Axworthie jun. have co-signed these two signatures. The Protestation was kindly provided by David Hopper from the transcription by A. J. Howard published in 1973, which is available at the Devon Record Office. 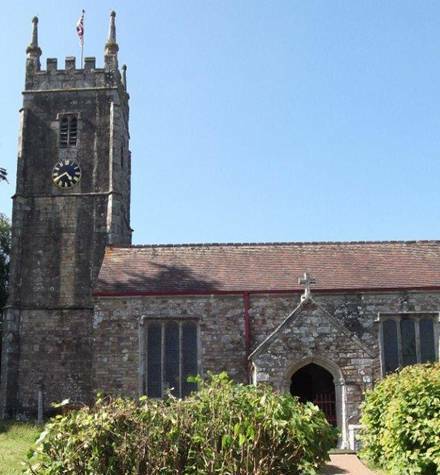 Seven years later in 1648 a Petition was signed in several parishes throughout Devon. 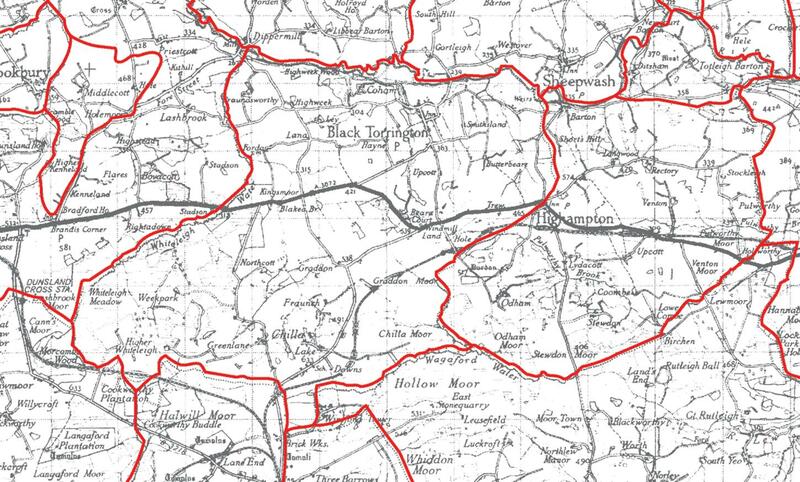 the following eighteen signatories were recorded in the village of Black Torrington. Will Stenlake; John King; George Oliver; Lewis Burden; John Birkett*; William Battin; Thomas Oliver; Robert Ollvare*; Hugh Braund. * Possible alternative surname variations: John Payge; Christopher Elbury; Peter Soper; John Bickell [Bickle]  & Robert Oliver. although in total 35 names are noted to be entirely illegible and many others listed are only partial fragments. Several other online resources are available through Genuki, also containing Personal Names. Devon Quarter Sessions [c.1754-c.1782] (Genuki) - Some citizens of Black Torrington listed. The Genuki Devon Wills Project: A full compliment of resources listed at Genuki for Devonshire is available below. By 1801[Census], Vision of Britain [online] shows 142 houses and 95% of the male population were employed in rural occupations. Summary of early population records in Black Torrington detailed in various sections above. Today the little rural village has a quaint charm, with St. Mary's Church its central feature and a small post office/shop. It also boasts an excellent school, sporting fields and popular pub. remains of the original structure. 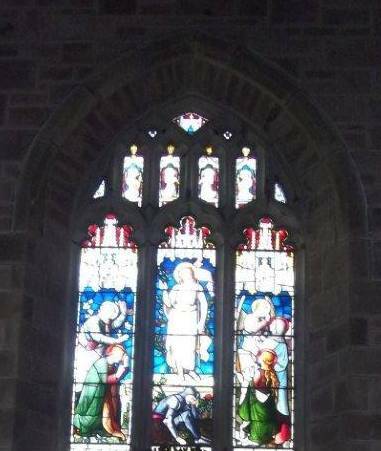 The present Vicar is the Reverend Kathy Roberts and the Parish Website provides an excellent historic account for the Church of St. Mary. The Parish Records 1547-1879 [10 Volumes] are available on microfiche at the Devon Record Office. Baptisms & Marriages to 1837 are available online at the Morman Church of Latter Day Saints Website [LDS Genealogy]. The current OPC Judy Adams [email above] offers free lookups for Burials with some Bishops Transcripts & banns [1547-1837] including any annotations not already available online. Also see below Parish Record look-ups. [left/Right] Images of St. Mary's Black Torrington kindly photographed and provided by D. Hopper [June 2011]. Click images to enlarge. Parish Records - look-ups invited by the above Online Parish Clerk. 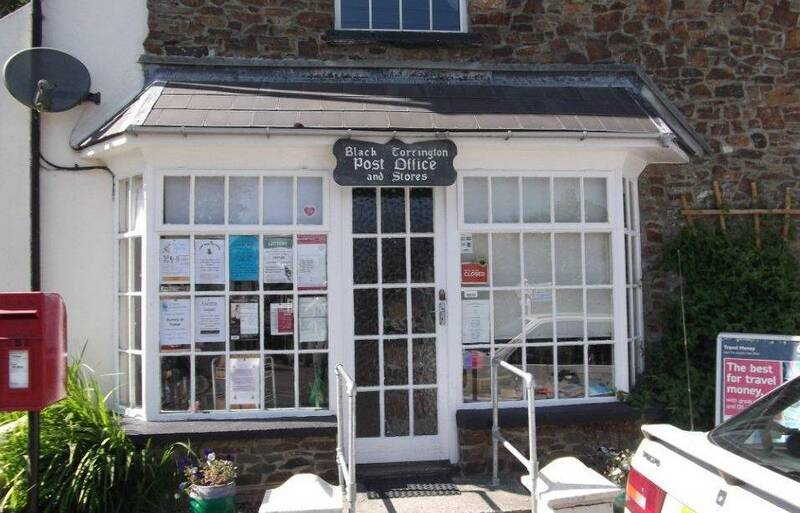 Parish Records at Black Torrington begin in 1547. Some Folios are torn or decayed and it is impossible to read them. Folios 1 & 57 to 60 are mere fragments. The Morman Church Latter Day Saints [LDS] have most Baptisms & Marriages for Black Torrington online. 1547-1837. The film can be ordered through Local LDS Offices and some approved Local Family History Societies. The transcription is displayed in Christian Name order to 1761 and chronologically from 1762 to 1837. The Devon Record Office can supply the Parish Records in Chronological Order for a fee, available on microfiche from 1547-1889.
differ. Whilst all care is taken in responding to enquiries, no responsibility is accepted by the OPC for any omissions or errors. It is always advised that the 'Original' Record be consulted. Directions to Indexes to some Family Names are sometimes provided by the OPC with relevant burials at Black Torrington if known. and randomly from the Genuki Devon Wills Project Index [online]. David Hopper for his valuable contributions to this page. Coffs Harbour District Family History Society Inc. and their members for the use of their equipment during the course of transcribing Parish Records for Black Torrington, Bradford and Thornbury. 8. Devon Quarter Sessions [c.1754-c.1782] (Genuki) - Some citizens of Black Torrington listed. Black Torrington Page gives additional information and further list of resources specifically relating to the Parish. Listed Resources relating to the County of Devon. 10. 'The Impact of plague in Tudor and Stuart England' by Paul Slack: Google Books [online]. OPC Families of interest: Hopper, Braund, Rowe & Fishleigh.